BoBoKo serve traditional Indonesian food using fresh South East Asian spices ingredients such as ginger, galangal, lemongrass, coconut milk, nutmeg, lime leaves and chili pepper to create unique, warm, rich flavors. Menu will include some Indonesian fusion options blending Indonesian and Western ingredients. Since rice is a staple food in Indonesia, most of the menu items will be served with rice. Meet Ridwan, the chef of BoBoKo Indonesian cafe. Cooking has been my passion since I was very young. Growing up in a big family I helped my late father sell produce in a traditional farmer's market and helped my mother cook for her small food business after school. This was a daily activity that I grew to enjoy. I created a blog about food and food recipes along with food photography to begin to share my passion for food with others. I refined the BoBoKo Indonesian Cafe's concept by competing in a food related business concept competition "What's Cooking Program" provided by the city of Harrisonburg and Rockingham County, Virginia partnering with the Shenandoah Valley Small Business Development Center. I received further encouragement to open this Cafe after achieving first place in this competition. Why are french macarons on the dessert menu? It is about passion. When I first tasted a French macaron in downtown Paris, I fell in love at first bite. Since that time, I have been passionate about making them as well as eating them. The pictures below are the first and the best macaron that I ever ate in Paris. 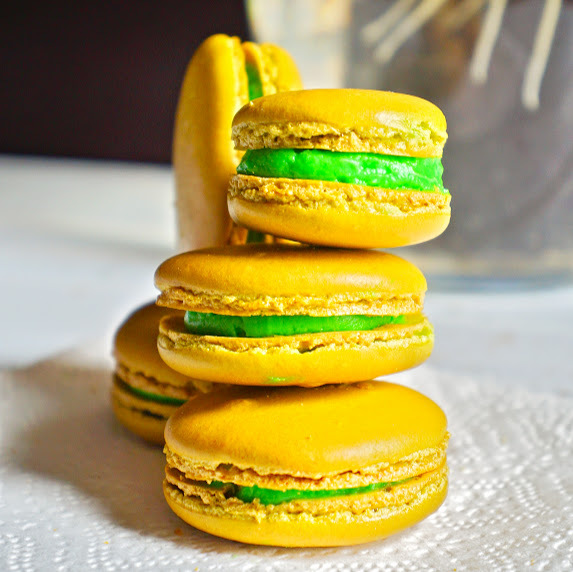 Then a few years later I made these macarons in my tiny little kitchen. Enjoy and Thank you for your visit today!